Emotional Freedom Technique also known at EFT/ tapping is the talk of the day. This amazing new discovery is based on the body’s energies and a simple statement that the cause of all negative emotions is a disruption in the energy system. It may be explained as the modern version of acupuncture without the needles and acupressure without pain, used in conjunction with intuitive performance success coaching. SPECIAL OFFER! DEC-JAN Emotional Freedom Technique, Amazing Energy Meridian Tapping Techniques combined with Intuitive Language Can Help Eradicate & Relieve Your Physical and Emotional Negative Symptoms! “Eileen, I admire your energy and style! We all enjoyed your presentation very much and I have shared the EFT technique with a few of my clients. Thank you so much for your generosity in presenting the Emotional Freedom Technique . I was happy that we got to have our meeting in your conference room at such a great location for most of the Eastern Group Psychotherapy Society Long Island members”. 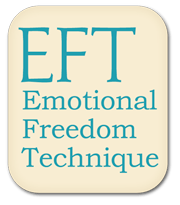 “I’d been doing some self-study on EFT and was getting some reasonable results but after one short session with Eileen, I not only discovered what I was missing with regards to tapping, I immediately felt better…I felt like there was real progress. Eileen not only is an experienced tapping coach, it’s abundantly clear that she truly cares about the people she works with.